Aar To Noy Beshi Din Lyrics In Bengali. 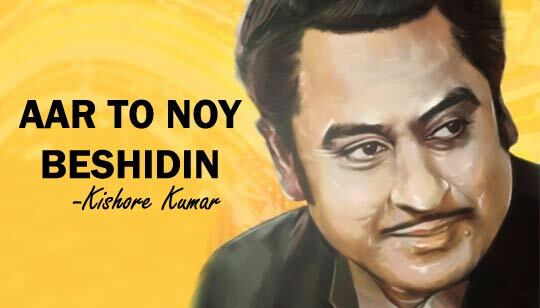 Sung by Kishore Kumar from Milan Tithi Bangla Movie. Starring: Joy Banerjee And Piya Dasgupta. Music composed by Ajoy Das And Lyrics written by Pulak Bandhyapadhya. Music Re-created by the music composer Duo Ashu-Abhishek And Sung by Timir Biswas. আর তো নয় বেশিদিন ..